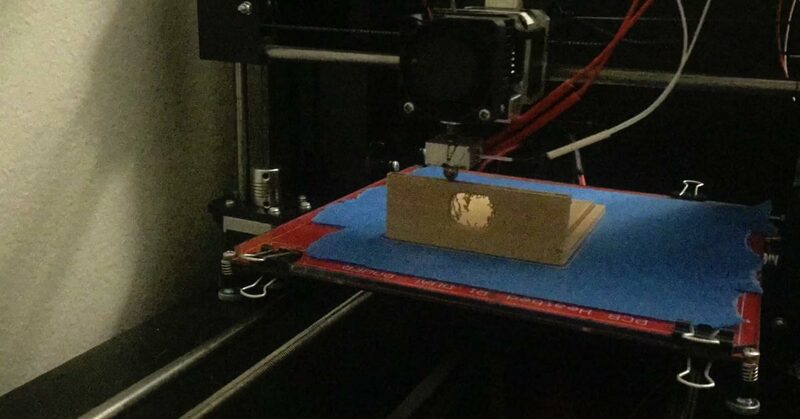 That’s right, 3d printing wood. Is it really wood though? Kind of. 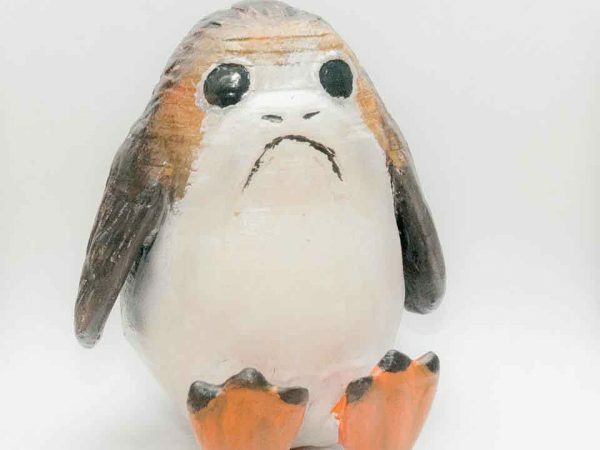 It’s a composite made by Hatchbox (https://www.hatchboxfilament.com/products/copy-of-wood-hatchbox-3d-wood-1kg3-00-3d-printer-filament-dimensional-accuracy-0-05mm-3-00-mm-1-kg-spool-wood) that’s basically a mixture of wood particles (think sawdust) and PLA into something that kind of looks / smells like wood, but prints like standard PLA. 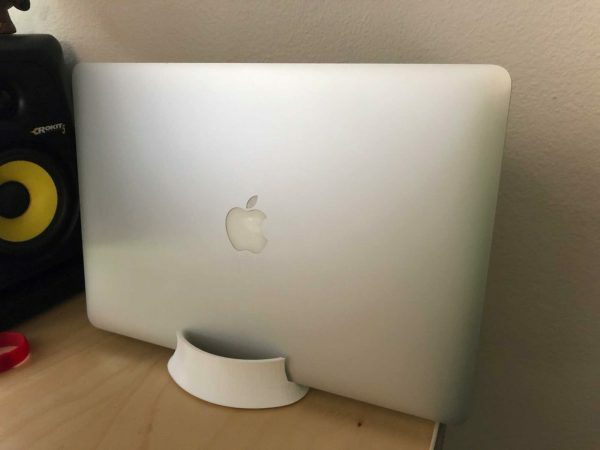 Depending on how you use it and treat it, it can either look like wood, like brown plastic, or more likely something in between. 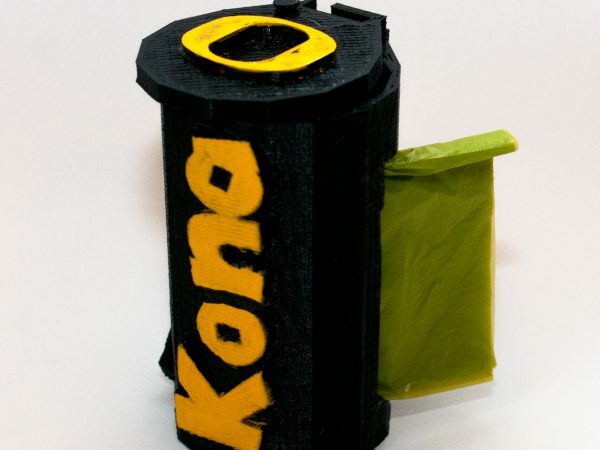 For the most part, you can treat the printing process for this more or less like you would with printing standard PLA. 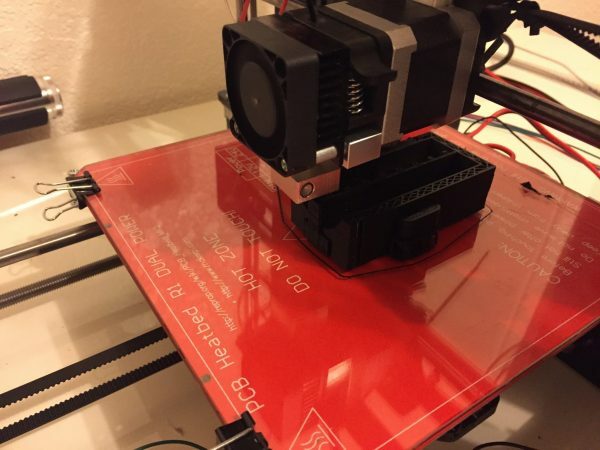 It prints anywhere from 190C – 240C without needing a heated bed, so most 3d printers that don’t require proprietary filament should be able to use it. After using this for a few months off and on now, since it is so similar to standard PLA, there’s really only a few pitfalls I’ve consistently encountered, one of which is hopefully fixed by tweaking some print settings. The first thing that’s easy to notice is that while printing… it definitely smells. It’s not really a bad smell, but it definitely has a slight burning wood smell to it. For the first couple minutes, it’s kind of cool. A couple hours into a print, I’m definitely over it. It becomes more obvious if you’re having to span large gaps. If the entire print is within a pretty tight area though, it’s not too bad. One thing I need to play with though is the retraction setting when printing. I have a feeling that if there’s more retraction while traveling, it could probably solve this problem. I mentioned that with the filament you could get something that really did look like wood, something that looked like brown plastic, or something in between. Well the first thing to help with that involves creating a wood pattern when doing the actual print. 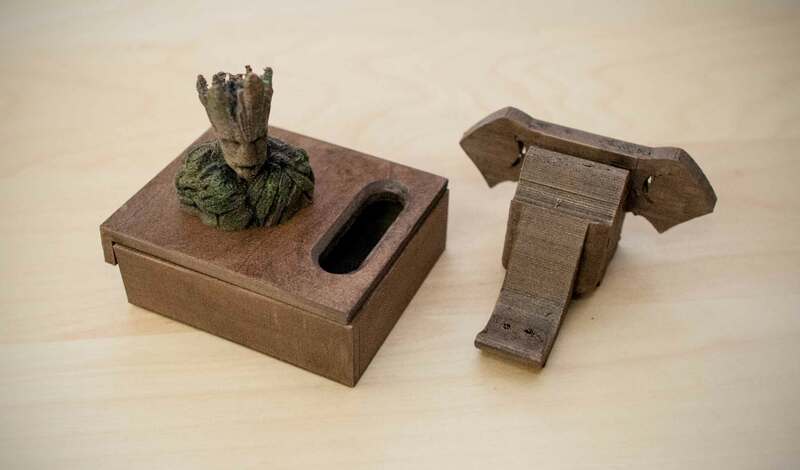 Due to this material actually containing some wood particles, you’ll find that the higher the temperature you print it, the darker the print will be (and vice versa). 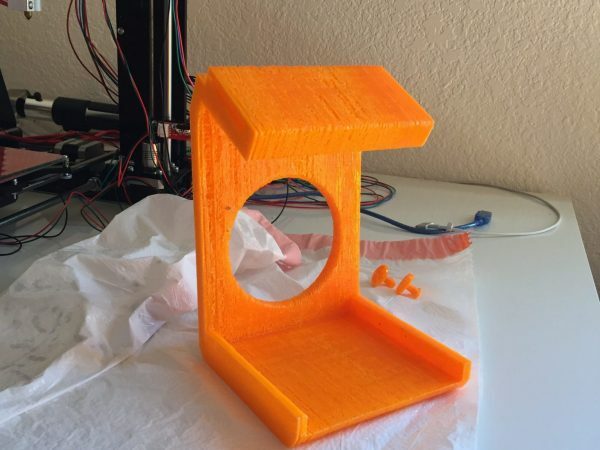 A trick you can use to introduce some color banding to give it a wood pattern look is to vary the temperature of the filament across the layers of the print. 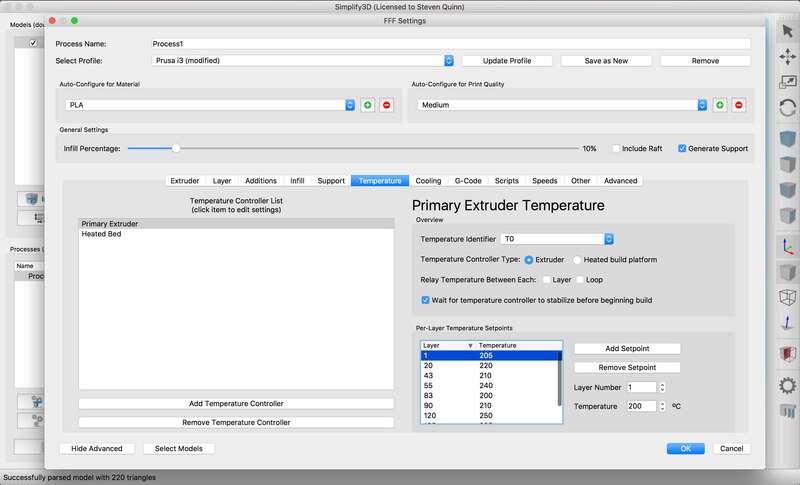 I use Simplify3D which makes this process pretty easy — I’m not sure how other slicing / printing packages handle this. Like with most 3d printing, the first step in the finishing process is some sanding. You’ll find that because this does have some wood in it that it sands really well. I tend to start with a sheet of sandpaper in the 100-200 grit range and slowly work my way up to the 400-600 range just to give it a nice smooth surface. 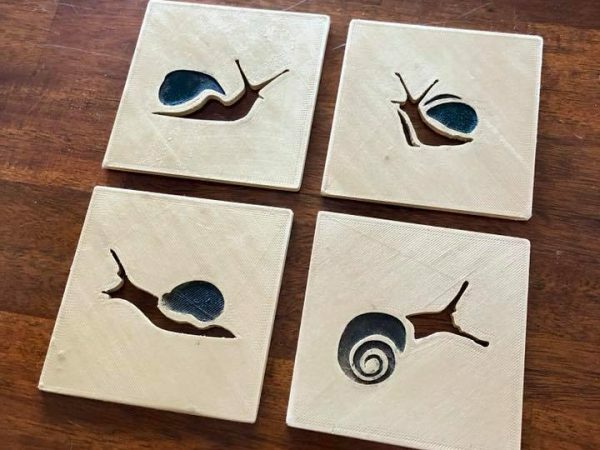 When sanding, take it slow. If you try to sand too quickly, it’s easy to heat up the PLA enough that it sort of gets gummy. Start slow, do it while watching a TV show or movie, and slowly step up the grit to get a nice smooth surface. After it’s nice and smooth, wipe it down with a damp cloth to get any excess wood particles off of it. Once it’s nice and smooth you can either paint it, or if you want to keep a wood look to it (you’re using wood filament, right? ), you can use a standard oil or water based wood stain. I found it works well to load up a cheap brush with the stain, brush it on, and use a rag or paper towel to wipe up the excess. When wiping up that excess, wipe it off in a single direction to enhance any sort of banding or wood grain effect. Check the stain for specific directions but I found doing 3 coats with a couple hours between coats worked really well. The last step is locking in the stain with some polyurethane. It comes in either a liquid you can brush on, or a can you can spray on. I opted for the spray but I’m sure either works fine. Again, follow the instructions on the can. 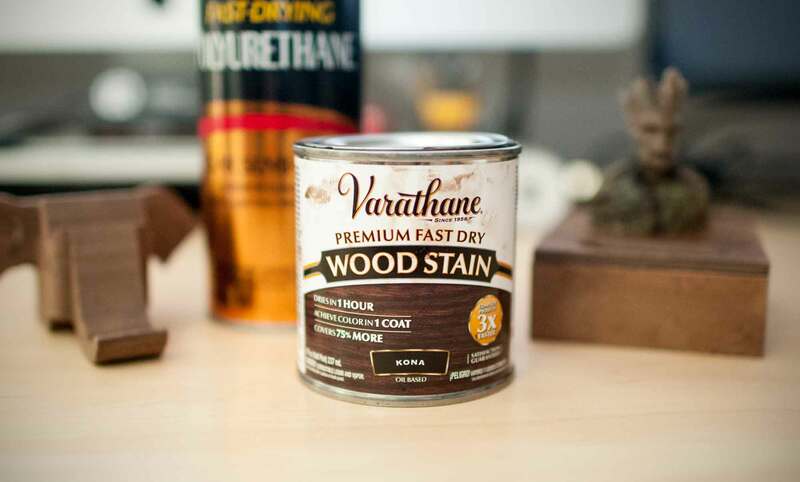 This last step helps lock in the staining you did previously, and gives it a nice sheen depending on whether your polyurethane is matte, gloss, or semi gloss. And there you have it, not bad right? 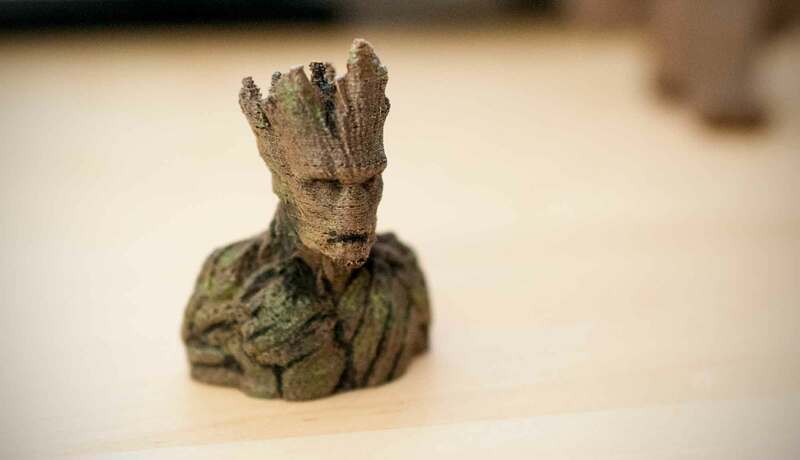 This Groot model also had a little bit of acrylic paint on him to give that green moss effect, but all in all not a bad wood effect for something that would be pretty tough to make out of real wood, but wasn’t too bad to print. Check back for more tips and tricks with 3D printing.